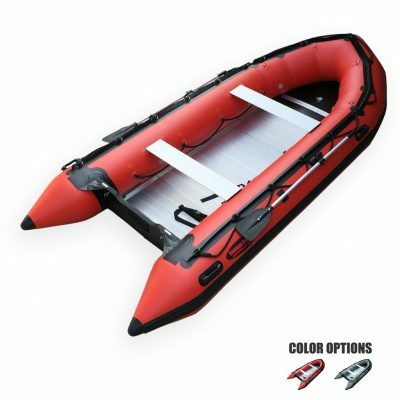 THE OCEAN SERIES IS BUILT USING 0.9MM PVC ON THE MAIN TUBES AND 1.2MM ON THE HULL. THE TUBE BOTTOMS HAVE AN EXTRA LAYER OF PVC. 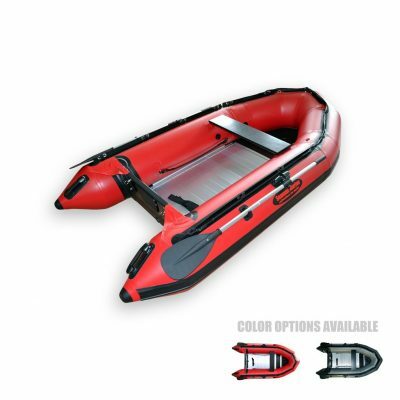 THE OCEAN SERIES HULL ALSO HAS OUR EXCLUSIVE “DOUBLE HULL LAYER” FOR EXTRA PROTECTION. A 6 INCH RUBBING STRAKE IS USED ON THE KEEL AND THERE’S EVEN A RUBBING STRAKE ON THE BOTTOM OF THE TRANSOM FOR EVEN MORE PROTECTION FROM ROCKS, ETC. 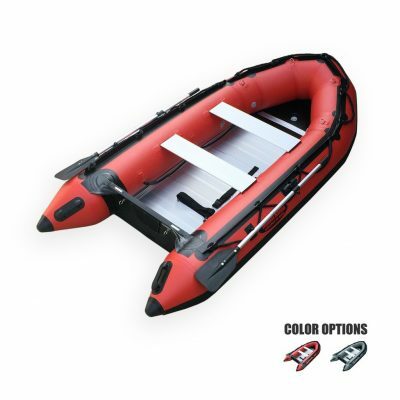 THE MAIN TUBES HAVE 5 AIR CHAMBERS (OCEAN 320 HAS 3) FOR ADDED SAFETY. TWIN SAFETY LINES ARE ALSO USED ON THE OCEAN SERIES. TRANSOMS ON THE OCEAN SERIES ARE ALSO HEAVILY REINFORCED THE SAME WAY AS ON THE COMMERCIAL GRADE OCEAN PRO T SERIES. 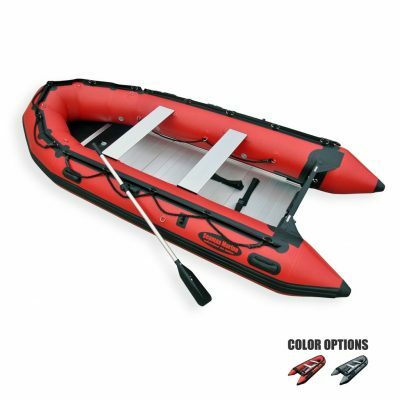 STANDARD ACCESSORIES: ALUMINUM FLOOR, SEATS, OARS, FOOT PUMP, CARRYBAG(S) AND OWNERS MANUAL.